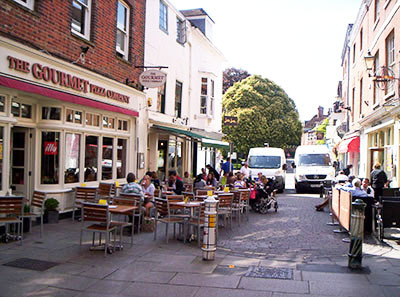 The Square Winchester can be accessed from the High Street. You will find the entry near the Butter Cross. This is a beautiful, quiet yet bustling spot. Old as Winchester. Fun and attractive. A place for an alfresco lunch on a warm day, to shop for an unusual cheese or other delicatessen items perhaps. There are quaint shops from watches, fashion to children's clothes. Enchanting. All in buildings that have stood the test of time. Winchester Cathedral Come through The Square from the High Street to the ancient area of the city to find the iconic and magnificent cathedral. 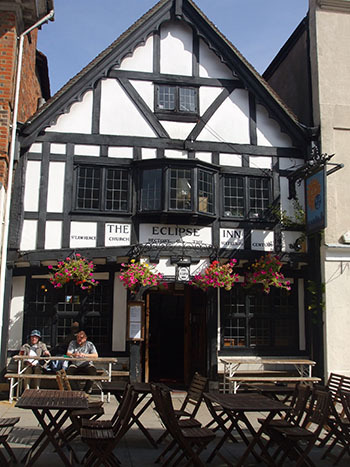 St Lawrence Rectory still exists but as an attractive pub, The Eclipse Inn, these days. 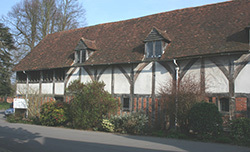 Built in 1540 it has a ghost of a grey lady who haunts the upper story. She was apparently Lady Alice Lisle who was tried and sentenced as being part of the Monmouth Rebellion by the infamous Hanging Judge Jeffries. The Church of St Lawrence can easily be missed, quite hidden, but worth the visit for its peaceful ambience. It is tucked away – you will find it just inside the passage behind the Butter Cross. 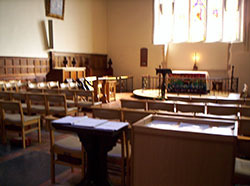 Anglo Saxon in origin it became the Chapel Royal being incorporated into the palace that William The Conqueror built. 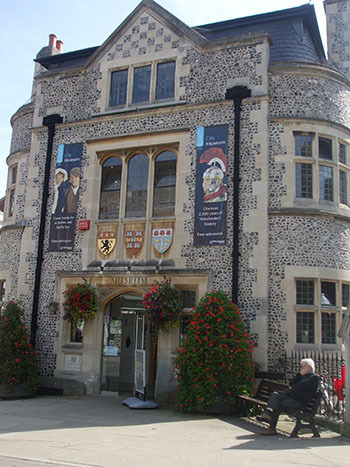 This venerable building houses a collection of artefacts chronicling the history of Winchester from the prehistoric to the modern. Good access with a lift to the upper floors. By no way a dry as dust museum!!!!! Never was. Brings the old city back to life!!!! Good disabled access - lift.